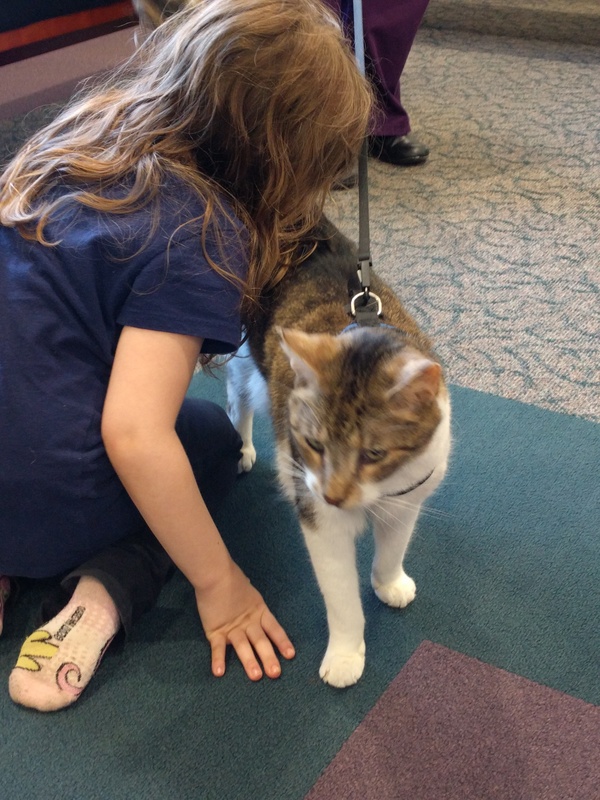 Kipper is a cat who works for a living as a therapy cat. He is laid back and easy to get along with, and he loves to be scratched on the back of his head. Once a month he comes to the library so that the children can read to him. This is a win-win: the children gain confidence and poise from reading aloud, and Kipper stays on top of all the latest in children’s literature, which he enjoys every much. We invite your children ages K-5th grade to stop by and share some time with Kipper. Kipper is always happy to make new friends, and we have lots of books for your children to choose from!